Today’s vertical search advertisers need to buy media more intelligently and effectively than ever before. In a crowded and highly competitive marketing landscape, savvy marketers must find ways to rise above the noise to find high intent consumers and acquire these consumers in an efficient, cost effective manner that delivers the highest ROI on marketing dollars. Unfortunately, buyers of clicks, calls and leads have been stuck in the stone age for far too long, forced to buy media through antiquated buying methods that favor intermediaries and constrain the ability to effectively deploy modern marketing strategies. This outdated model is so ingrained in the industry, that most media buyers don’t realize better technologies tools exist that can help them dramatically improve how they buy media. 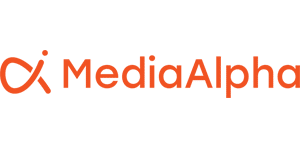 MediaAlpha for Advertisers puts full control into the hands of advertisers and empowers vertical search media buyers to define exactly what, where and how they buy media. Better data and bidding strategies result in more effective media buying, leading to an average increase in conversion rates of 20-30%. Through smarter buying and bid optimization, platform buyers experience an average of 20-40% improvement in cost per acquisition. 10-20% improvement in operational efficiencies resulting from standardizing and automating work.